A top institution of higher learner in the heart of New York City’s urban chic “downtown” neighborhood had a pro-Palestinian group chiming in on the recent shootings of two men of color by police officers in two separate incidents involving two separate police departments. During its campus protest rally at New York University, the NYU administration-recognized Students for Justice in Palestine (SJP) leaders and members blamed both shootings on Israel. 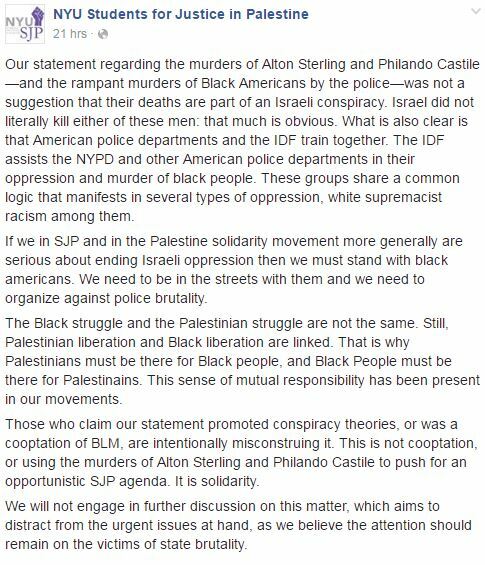 The SJP, declaring its support of Black Lives Matter and other groups protesting throughout the nation, openly blamed the Jewish State for the deaths of Alton Sterling and Philando Castile at the hands of American law enforcement officers. While protests were held all over America in response to the two shootings, at a Black Lives Matter protest march in Dallas, Texas, on Thursday night, an African American sniper murdered five police officers who were providing security for the protesters. 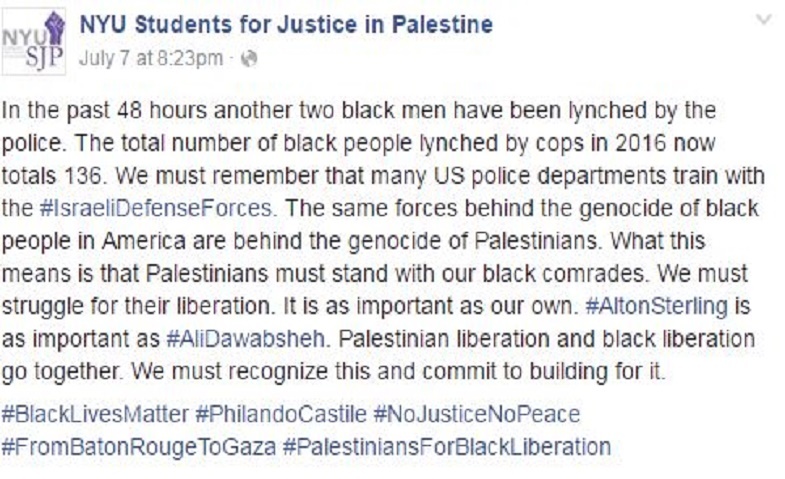 The Students for Justice in Palestine have not mentioned the incident in their propaganda or their Facebook page. Way to drill down, and locate the intransigent, stunning ignorance within these groups, Jim! 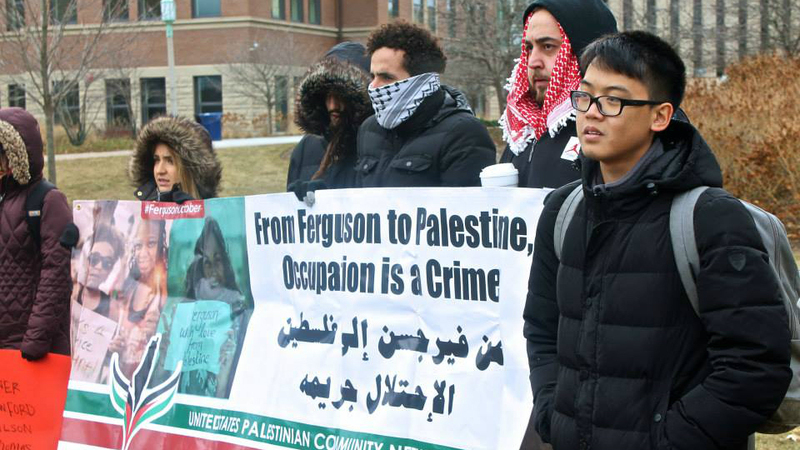 “OCCUPATION IS A CRIME “. That’s nice, now send all those muslims back.